Chamaecostus cuspidatus (Nees. & Martin) C.D Specht & D.W. Stev. Globba cuspidata Nees & Mart. HINDI: BAanda, Bija-sal, Peisar, Jarul, Keukand. MALAYALAM: Honne, Karintakara, Vengai, Venna-maram. TAMIL: Neyccarikamaram, Venkal-c-ciray, Kostam, Kostum. URDU: Bijasar, Bam al akhwain. 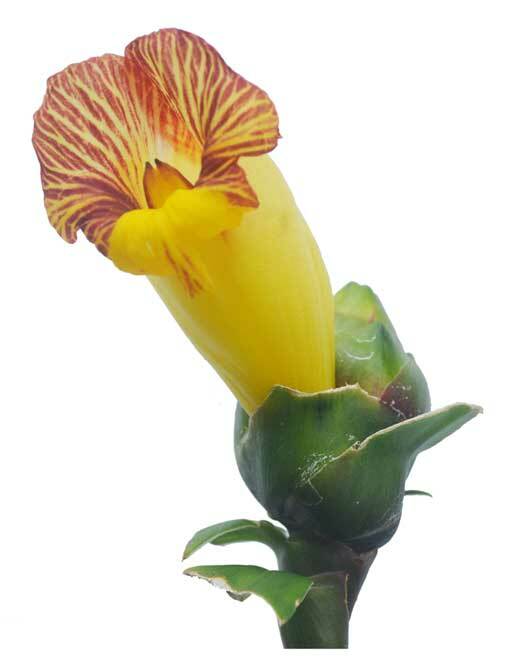 Costus igneus is a perennial, upright, spreading plant growing to a height of 2 feet, with the tallest stems falling and lying on the ground. Leaves are simple, alternate, entire, oblong, 4-8 inches long with parallel venation, spirally arranged around the stems. Large, fleshy, smooth, and dark green leaves have a light purple underside. Flowers are orange, 1.5 inches in diameter, on cone-like head at the tips of branches. Fruits are green colored, less than 0.5 inch. - Native to South and Central America. - Widely cultivated in India. - Leaves are rich in protein, iron, ad antioxidant components such as ascorbic acid, a-tocopherol, ß-carotene, terpenoids, steroids, and flavonoids. 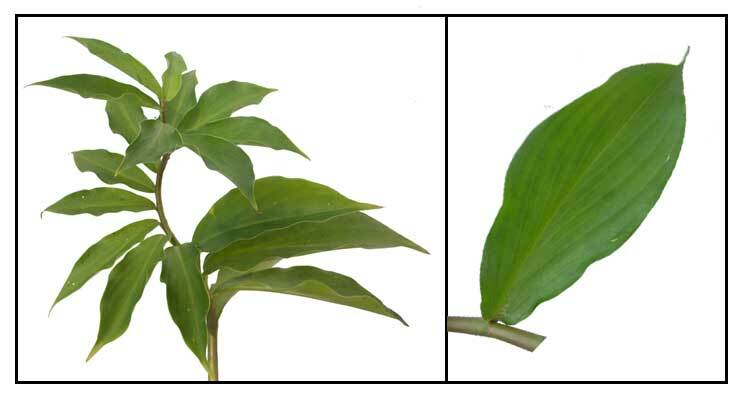 - Studies have suggest antimicrobial, antidiabetic, antiproliferative, hepatoprotective properties. - In the Philippines, becoming increasingly popular as an antidiabetic herbal medicine. - In Siddha medicine, used for diabetes; leaves chewed twice daily, or dried powder of leaves taken 1/2 to 1 gram twice daily. - Leaves consumed as fresh, dried and powder leaf forms. - Increasing availability in herbal gardens. - Powdered leaves, rhizomes, capsules in the cybermarket.